Outstanding instruction for the times we live in! A very long introduction and lots of views about when and where lies are okay and not okay. Lots of stories about people being lied to and how they handled it. A whole chapter on how a company might have a "trust audit" done by professionals. A chapter on having a group of people that give you advice. It is more of a book that would help you track down other resources that, might, tell you how to spot lies. I could not be more disappointed in this book. In short the interesting part of the book was filled with contradictions. 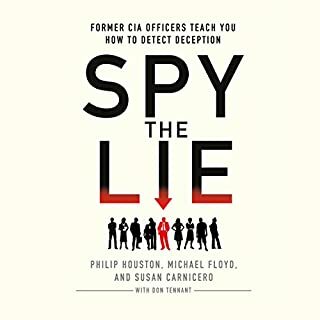 A light read of the book will appear informative, but the problem occurs when over several chapters the information on how to spot a lie is contradicted time and time again. Later in the book the author reviews the need of businesses to have trained consultants conduct deception audits. I was left with the impression that the entire purpose of the book was so that the author could sell or recommend such services by saying "look I wrote the book on how to spot a lie"
I understand how some readers (especially small and medium business owners) might love the concept of being able to tell, or having a consultant tell them when someone is lying to them. However this book appears to me as dangerously painting a desire to know how to tell if someone is deceiving you, with a science. If you are interested in exploring the subject I would recommend that you read. "What Every BODY is Saying: An Ex-FBI Agent's Guide"
What did you love best about Liespotting? How to look for suspicious behavior that may indicate lying. 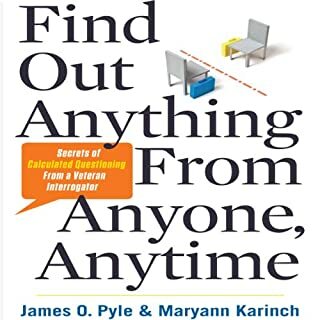 Most: The couple of chapters that were about how to detect if somebody may be lying. Least: The lists of areas you could be deceived in corporate life. Watch peoples overall mannerisms and not just in the moment. The title should be changed to "Corporate areas of trust, and a couple of ways to tell if somebody may be lying to you." I was expecting the book to go into more detail about lie spotting. What would have made Liespotting better? This book could've been made into a brochure and saved everyone a lot of time. When a book is title Liespotting you expect that the main focus of the book will be about lies right? Maybe I was expecting too much after reading Joe's Navarro - "what every body is saying" but I was very disappointed. 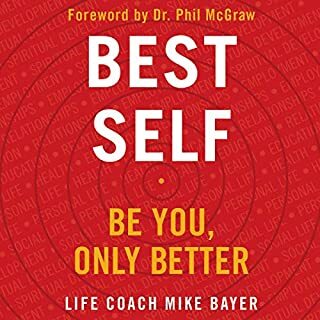 To start this book make very big claims ,if not absurd ones, like you’ll be able to detect 95% of the lies you are told, or that after only 1 hour of training the principles of the book you be at least 25% better in detecting lies. The Book is basically divided in 3 parts. The beginning has a lot of interesting but useless content such as statistics of which countries in the world have the biggest liars. The middle is about detecting lies. Unfortunately the part that is supposed to be the main part of the book is full of little tips scattered around which makes really hard to grasp anything useful. And is only about 30% of the whole book. The last part of the book remains to me a big mystery. Why the author decided to add tips on how to make a convincing presentation, or factors why an employee would be more inclined to cheat on reports or how to conduct an audit. I was expecting something that I can use on my interactions with normal people – I don’t own a company. 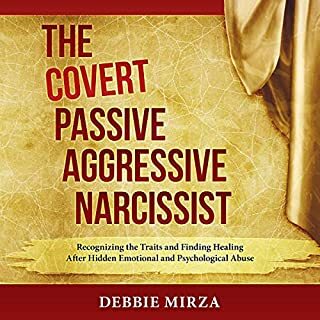 In the same way a bad psychologist might want to use this book to detect liars, someone who read it could prepare and be an undetectable lying machine. This is because of the “tips” the book gives such as –Liars use perfect grammar. You just can’t say if someone do X he is lying. On the overall I would not recommend to skip this one and go straight to the What every body is saying. This is a great book, but it's focus is lying in business and commerce. If your looking for knowledge in personal relationships this book has little information. Her delivery and insights are impressive if your using the information for business. I would buy her next audiobook on personal and everyday relationships if she were to write one, but at this point the techniques are of little value to me as I'm not in the commercial world looking for shonky business people. 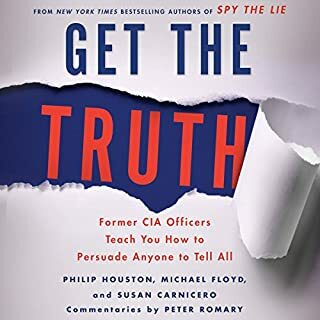 The beginning of the book provides useful information on spotting lies -- identifying baseline behavior and noting "tells" and cluster of behaviors when a person is lying. It is followed with chapters that diverge somewhat from lie spotting, such as negotiation techniques and conducting a deception audit at work. The information is still useful in that the reader can apply the techniques to build trusting relationships and avoid dishonest people. I think the reason why the book hasn't received higher ratings is because the author's TED Talk and the book description give the impression that this book can help the reader become an expert on spotting lies. It is not case. It provides an overview and basic techniques to practice. 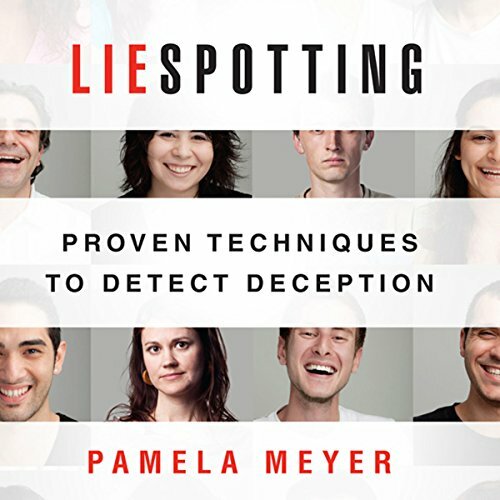 According to Pamela Meyer each person, on average, is subject to 200 lies - a day. I was astounded – I don’t see 200 people a day. Some days, I only see my family and my co-workers in the small branch office I work at. Where are the lies? I started thinking about it: it happens when several of my Facebook friends ask to “Add my birthday.” They’ve been duped by an advertiser seeking personal information, and it gets passed along. The lies are in the ads I get to enlarge a certain body part. The products can’t work – I don’t even have the requisite body part. The lies are on CNN, Fox News, during interviews of people later found guilty of horrible crimes. And there are white lies I hear, when I ask my son or daughter how school was, and they say “fine” to deflect me from asking about an Algebra or Physics test they may have tanked. Sometimes, I’ll never find out things weren’t really “fine” – the test turned out well, and I’ll chalk the crankiness caused by stress for teenage hormones. People lie, and Meyer’s book is a great guideline for realizing when that happens. I am a litigator, and I learned a lot of the techniques she outlines by years of experience. For example, if someone uses the phrase “To tell you the truth,” what comes out next usually isn’t the truth. It might have a little bit of truth, someplace, but it might be a complete fabrication. If someone smirks while testifying, they are lying and expect a judge or jury is too stupid to catch it. I wish this book had been available 20 years ago. Would you try another book from Pamela Meyer and/or Karen Saltus? What was most disappointing about Pamela Meyer’s story? Ms. Meyer spends a significant amount of time shouting her own accolades in the beginning of the book, and very little on the actual science of detecting lies. I found myself unable to get into the book with so much self-glorification. The author was light on the science backing up her claims. The narration was fine. My issue was the source material. Overall good information, but half of the book can be skipped. Especially first 2 or 3 chapters - these can be summarised as "Your life will be wonderful if you'll be able to spot a lie". Also last 2 chapters are not really relevant. And the real information is getting lost in the noise of "how good it would be". I wish the book was shortened like in half, but without the noise. I'm keen to re-listen the book as the good part of the materials are not easy to settle in and need a revision, but I'm hesitant because it is so full of noise as well. The general concepts of dissembling are covered but half the book is padding which is both irritating and patronising. If you want to understand the subject start with Paul Ekman's work, this title adds little or nothing to his established work. 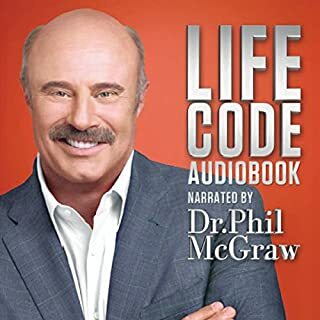 I enjoyed listening to this audio book & it does have some good tips on catching liars, however, I think it's a skill you need to learn from teachers with visual examples. Good for a beginner if you are thinking about learning & want to know what is involved. Mostly quite good. I'll definitely be listening to the first 2/3 ,ore than once again. Let down with the last 1/4-1/3 which seemed like filler content and which was only loosely related.